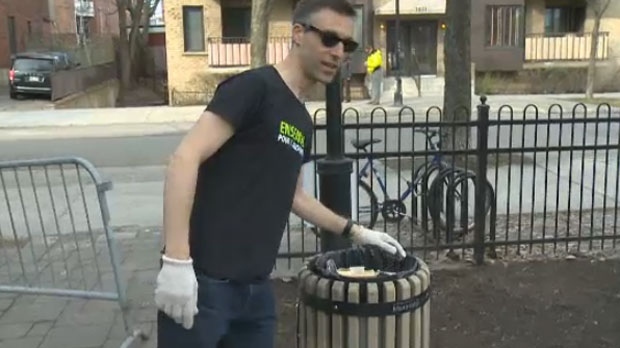 Montrealers helped to tidy up the city as part of The Big Chore on Saturday. The volunteer cleanup operation runs until May 6. It was spring cleaning time out on the streets of Montreal and Saturday as volunteers came out to tidy up their parts of the city. Montreal’s Big Chore, a city-organized volunteer initiative, runs between April 27 and May 6. The project has residents registering the chore they wish to complete which then allows others to look up and take part in activities in their part of the city. 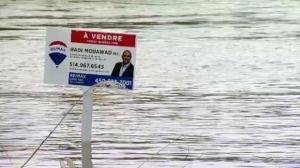 City of Montreal spokesperson Philippe Sabourin said they were expecting over 100 projects over the weekend alone. Last year, the city registered 500 activities with 20,000 volunteers. Sabourin said he expects that number to increase to 600 activities with 25,000 volunteers. Among the registered clean-up operations are a tidying up of the scene of last weekend’s half-marathon, a litter collection on Queen Mary St. and a cleanup of Rachel St.
To find a cleanup project in your area, click here.